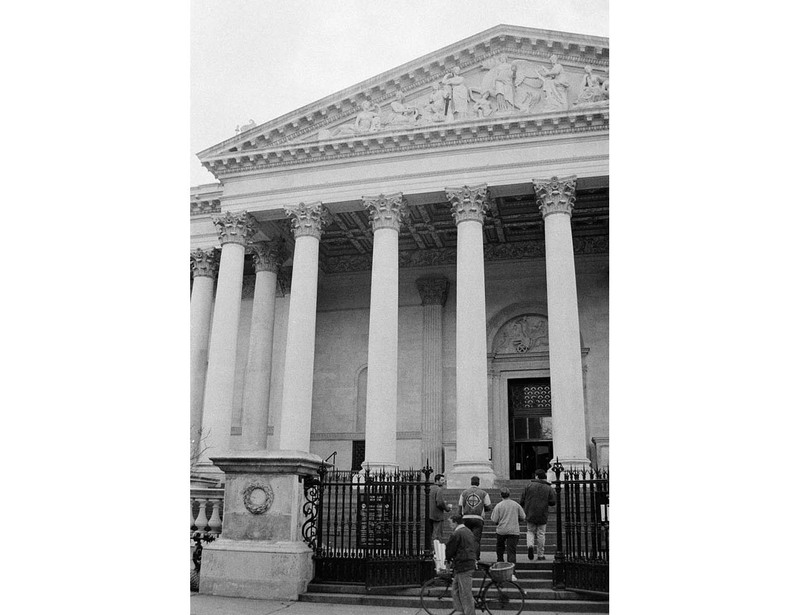 This work considers the body in relation to the institution of architecture through the appropriation of a CCTV image projected onto the neo-classical façade of the Fitzwilliam Museum in Cambridge. This suggests, by projection, a fragment of a frieze that would have portrayed a colourful story in the classical original. A roundel of light gradually filled with the images of the surveyed figures. The roundel slowly disappeared to leave the CCTV image on the entablature. 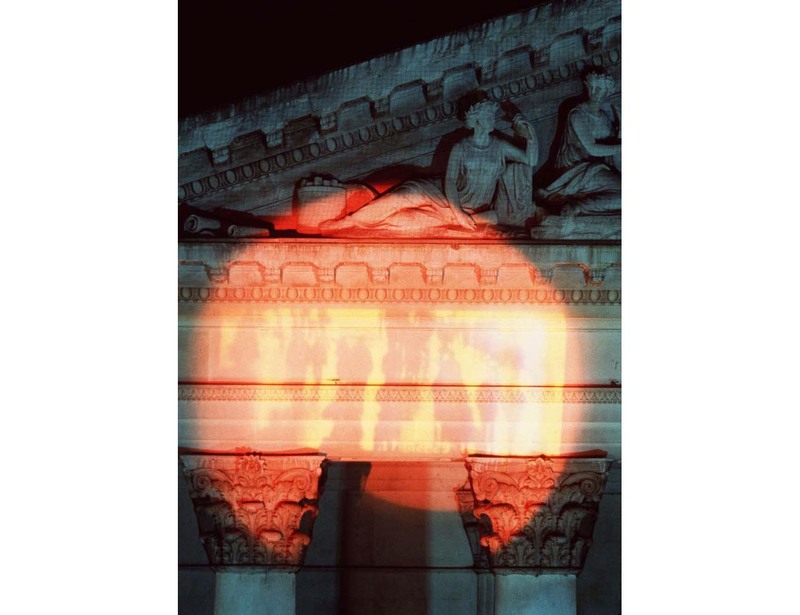 These contemporary figures echo the allegorical relief figures on the pediment to reflect upon the power and cultural status of the institution and the burgeoning culture of surveyance. 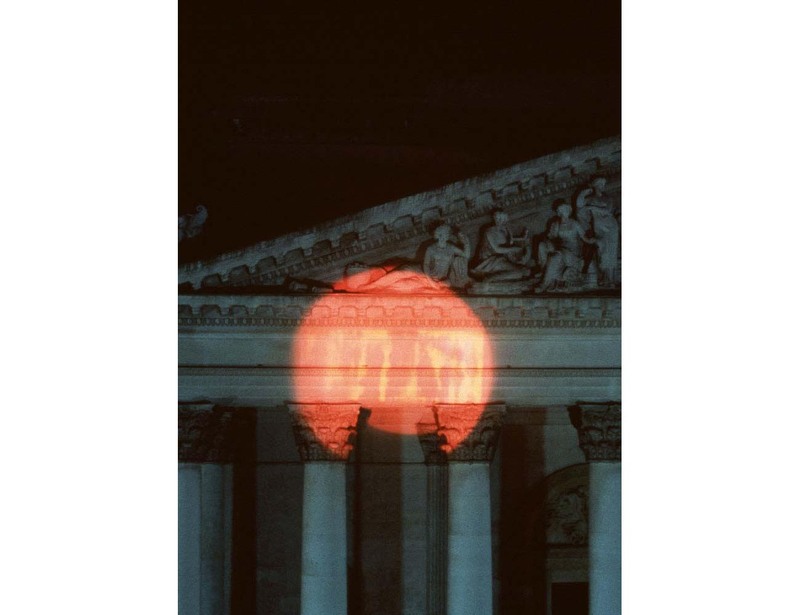 Medium: Glass theatrical gobo, red gels, theatrical lamps, dissolve units, timers. Dimensions: Approx; 1mt 50cms Diameter.